Nicole Mitchell has been celebrated for bringing an exciting new approach to flute improvisation, and is the founder of the critically acclaimed Black Earth Ensemble. 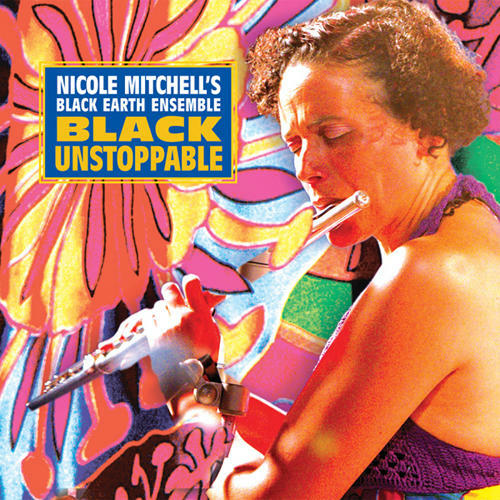 Number 1 in Downbeat magazine's critics' poll for Rising Star Flutist 2006 & 2007, Mitchell has performed with creative luminaries including George Lewis, Anthony Braxton, James Newton & Muhal Richard Abrams. Mitchell does a variety of residencies, workshops & panel discussions in Europe, Canada & the US. With David Boykin - saxophone; David Young - trumpet, Jeff Parker - guitar; Tomeka Reid - cello; Josh Abrams - bass; Marcus Evans - drums; Ugochi - vocals. Studio recorded.